Ask your Pharmacist..........You'll be taking good advice! 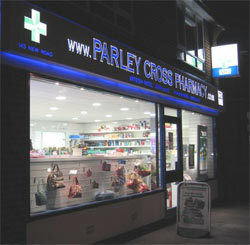 Parley Cross Pharmacy has been run by husband and wife team Mitesh and Bhavini Patel since September 2006, ably supported by Jan, Maciek, Siv and Dawn. 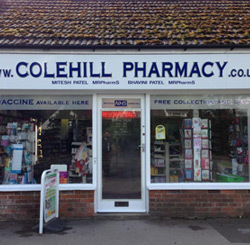 Not only does this excellent team offer a WHILE YOU WAIT prescription dispensing service, they also offer healthcare advice and stock a wide range of products ranging from health care items to cosmetics and household goods. The pharmacy also runs two clinics - a SMOKING CESSATION CLINIC	with prescription NRT as well a LIPOTRIM WEIGHT LOSS CLINIC (see details in "Services"). 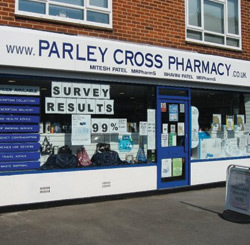 At Parley Cross Pharmacy we pride ourselves on our commitment to give the best possible service. We are always happy to receive comments or ideas on how we might improve things for our clients. We also recognise that occasionally things might not always go as smoothly as you would like; so if you are in any way unhappy with any aspect of our service, please do let us know - we will do what we can to rectify any shortcomings. Complaints about NHS services can also be brought to the attention of NHS England. We are open six days a week (Monday to Saturday) and our opening hours can be seen above. For details of our service availability on Sundays and public holidays, please refer to the rota displayed on our door, in your doctor’s surgery and in the local press. 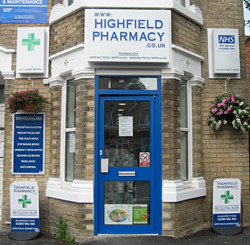 If you require emergency (ie urgent) dispensing of medication at other times, please call NHS Direct on 0845 4647. Details of our routine and repeat medication arrangements, including our home delivery service, can be found by clicking on the "Services" icon above. 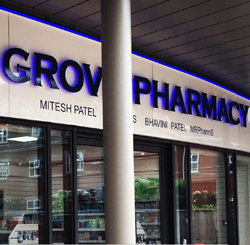 Whatever the problem or issue, our pharmacy staff will not be judgmental. So you can feel free to talk to us in complete confidence. Moreover, many of the services we provide can be carried out in our special soundproof consultation rooms. We appreciate that there will be occasions when we may not be able to help you directly but we should be able to point you in the right direction towards someone who can. 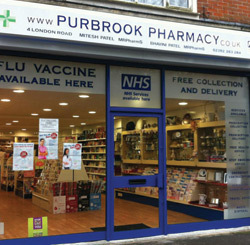 We now have a Post Office inside our Pharmacy and welcome the support of all our community.